With the 2017 Range Rover, technology goes way beyond just the latest gadgets! Innovative technologies appear in the performance, safety, and infotainment areas. Adaptive Dynamics- Monitors the vehicle’s movements continually and adjusts to provide the driver with greater control of the vehicle. All-Terrain Progress Control- At low speeds, this system helps provide better grip on a variety of surfaces. This means the vehicle will start more smoothly even on low-friction surfaces. Surround Camera System- Parking is much easier when you can see all around the vehicle. With the Surround Camera System, you will have almost 360 degree views around the vehicle. This is because of multiple cameras providing data to build a surround view. InControl Remote & Protect™– Use a smartphone app to keep in contact with your 2017 Range Rover. Find your vehicle in a parking lot, remotely check the fuel level, and even check to see that you haven’t left a window open. This app does that all and more! Visit Land Rover Colorado Springs to experience the innovative technologies of this performance SUV. 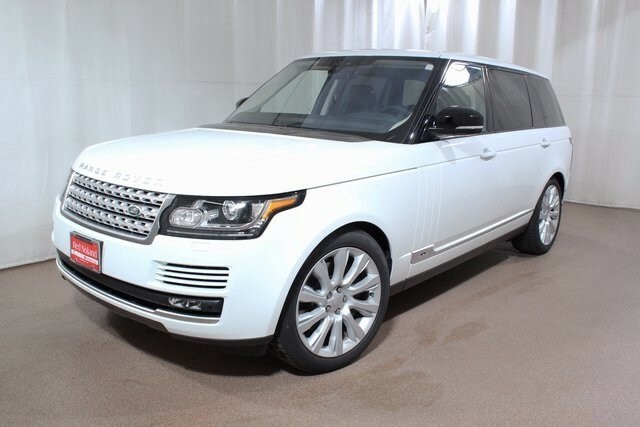 We have a great variety of the 2017 Range Rover to choose from! Take a test drive, try out the features, and fall in love with your new 2017 Range Rover today!